Tomorrow, September 5th, marks a significant day in the history of Sheridan football. 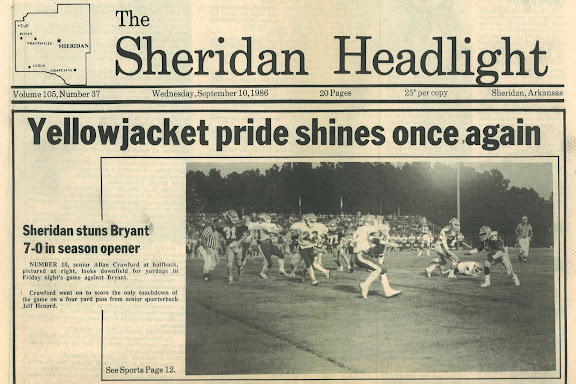 Twenty-three years ago, our team broke a 27 game losing streak when they beat the Bryant Hornets during the season opener. Below is the front page of the Sheridan Headlight from the following week. 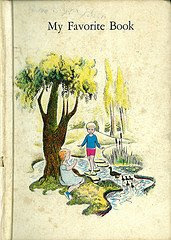 Unfortunately, Page 12 of this edition (containing the write up) is not available. Something tells me though that this image alone is enough to make you smile. Number 10, senior Allen Crawford at halfback, pictured at right, looks downfield for yardage in Friday night's game against Bryant. Crawford went on to score the only touchdown of the game on a four yard pass from senior quarterback Jeff Henard.